The sock, while new, performed like its competitors' product. However, REI's brand did NOT hold up. Pretty quickly, this sock showed signs of fraying and wear. 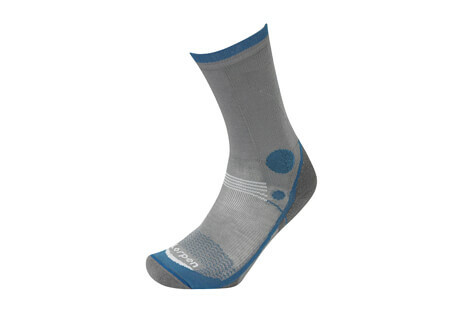 I would not recommend these socks; save up a few more dollars, and buy SmartWool or Thorlo. Only when brand new, these socks rival their competition. They fit well against the foot. The knitted banding holds the sock comfortably in place. I like how the socks are snug in right places and roomy enough in others. 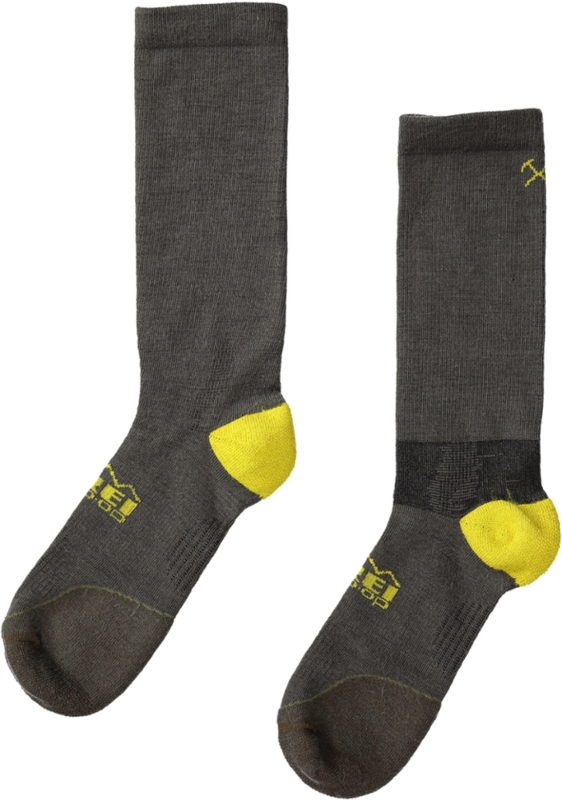 When new, and the natural padding is intact, the sock does its job and keeps the foot from blistering and wetting out from sweat. It helps to wick any water back out to the boot. 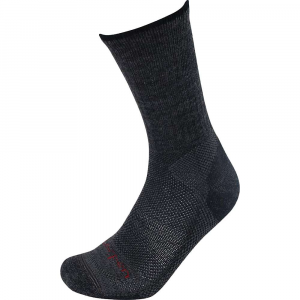 The sock also does what merino wool is supposed to do by keeping the foot warm when cool, and keeping the foot cool when warm. One of the best features is this sock never stretches or sags. It keeps its shape washing after washing, wetting after wetting. It bounces back just like it is designed to do. Thus, at outset, pound for pound against its competition, the sock holds its own. But the drawbacks outweigh its many positives. After the first few wearings and washings, the fraying becomes very obvious. The wear spots show breakdown of fraying. 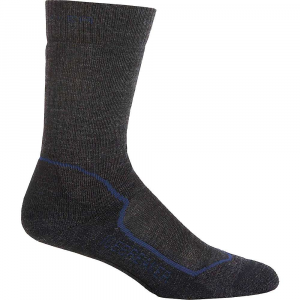 Thus, because the threads are breaking down, the threads leave piles of worn wool inside the sock, which can be problematic. I have had to remove my boots and socks at a break to pull out the tufting that has built up from the fraying. The fraying leads to thin spots, and the thin spots lead to holes. I had a pair break down on one of my longer hikes. Fortunately, I had my backup pair. 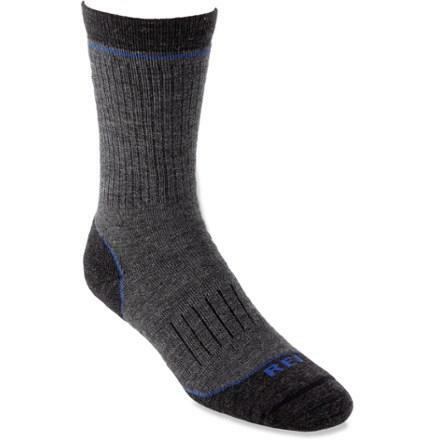 I had bought several pairs of these socks—two crew length, one adult short pair, and two children's pairs. Each pair broke down in the exact same way. I have other name brand socks that I have worn harder and longer, and they have yet to wear out like these five pair have. I bought REI on the reputation the company has, and the quality and durability of its other products I own. I wanted to save a few dollars from the competitions' socks. It was not worth it this time. Save up a few extra dollars, and spend it on the name brand socks. You won't be sorry. Really like them! Warm and comfortable. I might have been lucky, but I bought a few pairs of these about four months ago and they have been great. I've hiked in them and even worn them to work without any signs of breaking down. I know the other reviewer had horrible luck with these, but I have to say that mine have been great. I like the feel of them. They maintain warmth without drenching your feet in sweat. I might not be as hard on my socks as others, but no complaints after four months. 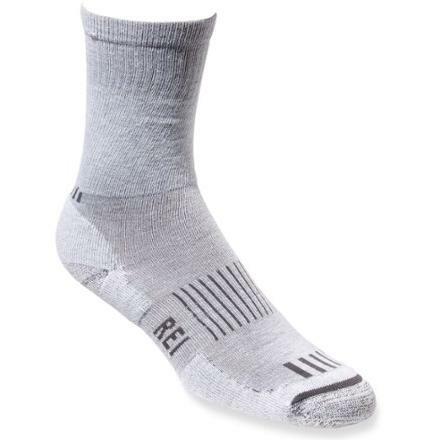 The REI Merino Light Hiker Crew Sock is not available from the stores we monitor. It was last seen July 1, 2015	at REI.